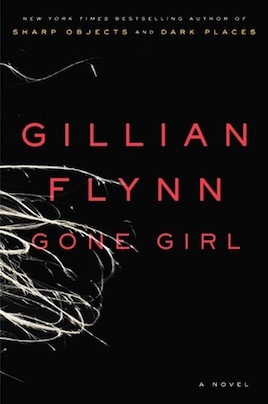 I had never read a Gillian Flynn novel or heard what Gone Girl was about when I started reading the book. At first I thought it was a love story gone wrong, akin to the movie Blue Valentine, as Nick wrote about the travails of his marriage in the present time (their 5th wedding anniversary), while Amy’s diary described their falling in love 6 years earlier. When Amy disappears in suspicious circumstances, it becomes obvious that the book is about much more than a love story gone very wrong! As Nick’s unsavory behavior comes to the forefront, you start wondering whether he might actually have killed Amy. The story evolves slowly as the author doles just enough information to think you are starting to figure the story out, before she hits you with a revelation that changes everything. You know you are being actively manipulated, but the process is so enjoyable because the book is well written, and the characters and story feel real. Ironically, this active manipulation actually made me guess most of the plot twists as it became obvious I was being led down a dead end by highly unreliable narrators. Regardless, the twisted, disturbing and horrifying tale is irresistible. Beware, it will make you question whatever relationship you are in, especially if, like me, you have a weakness for “cool alpha girl”. I only have two small quibbles. The first part of the book is a bit slow and long. Fortunately, the tale kicks in high gear as soon as “Boy Meets Girl” starts. I also found the ending a bit disappointing, even though it is fitting in its own twisted way. Trust me and read this book!